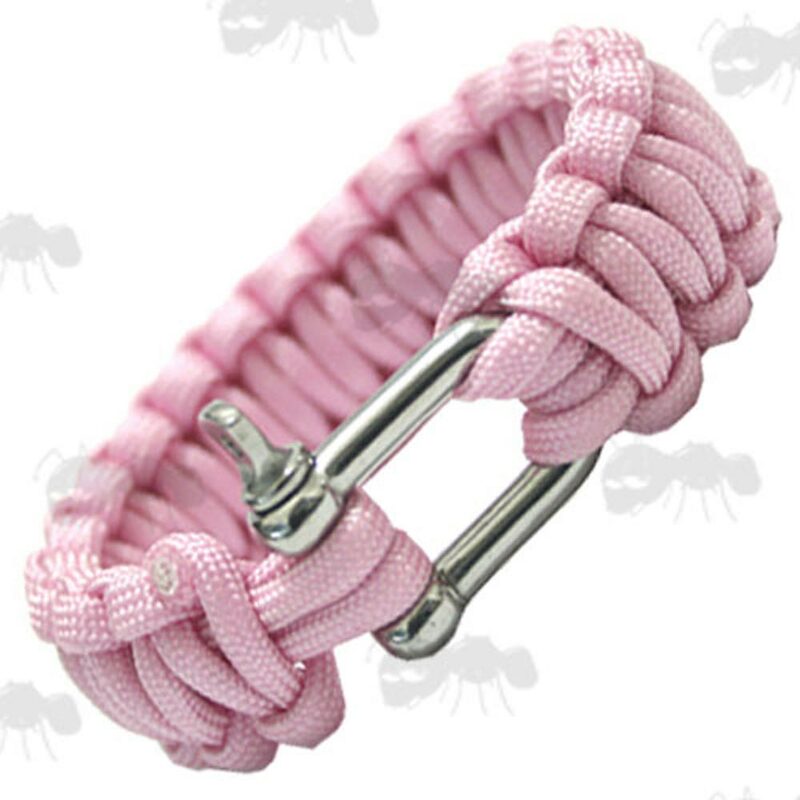 Links at the end of page to Paracord Bracelets with different fittings. 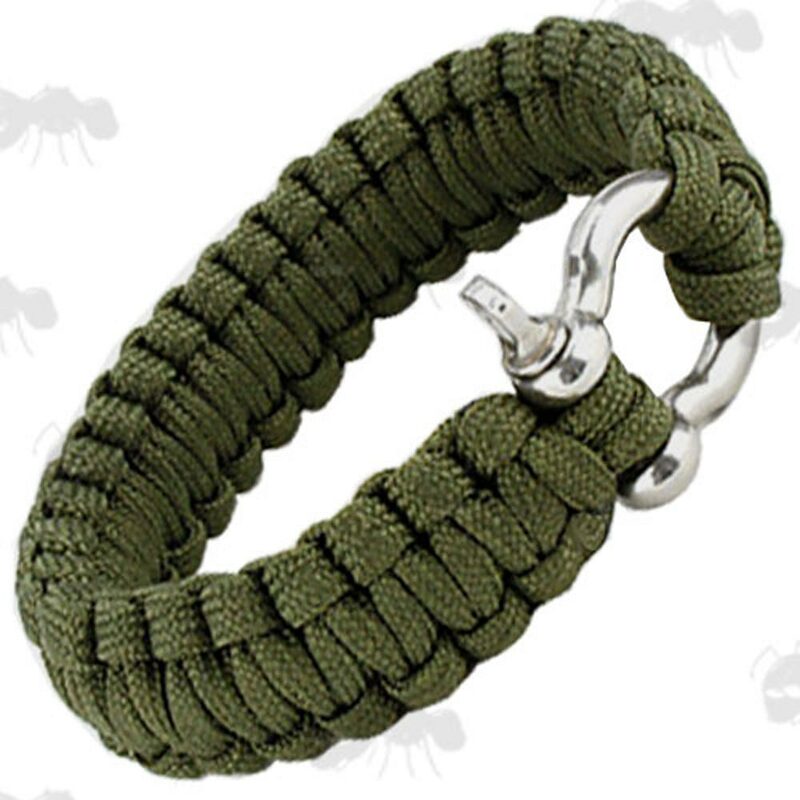 Link to our Paracord guide page. 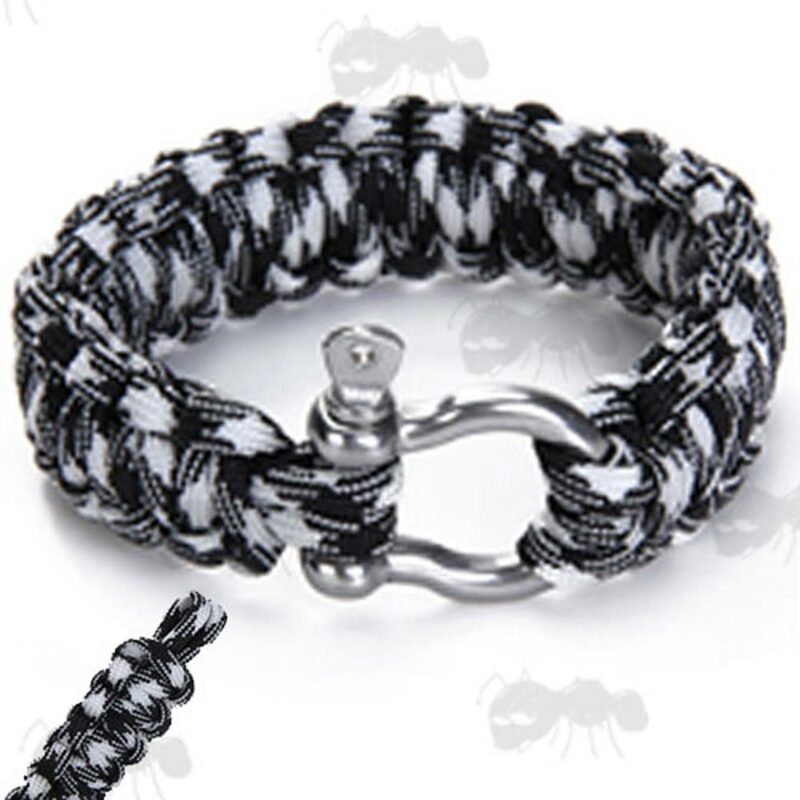 Survival bracelet, hand woven from paracord. Weighs approx 35 grams and fits wrists from 7 to 9 inches in circumference. 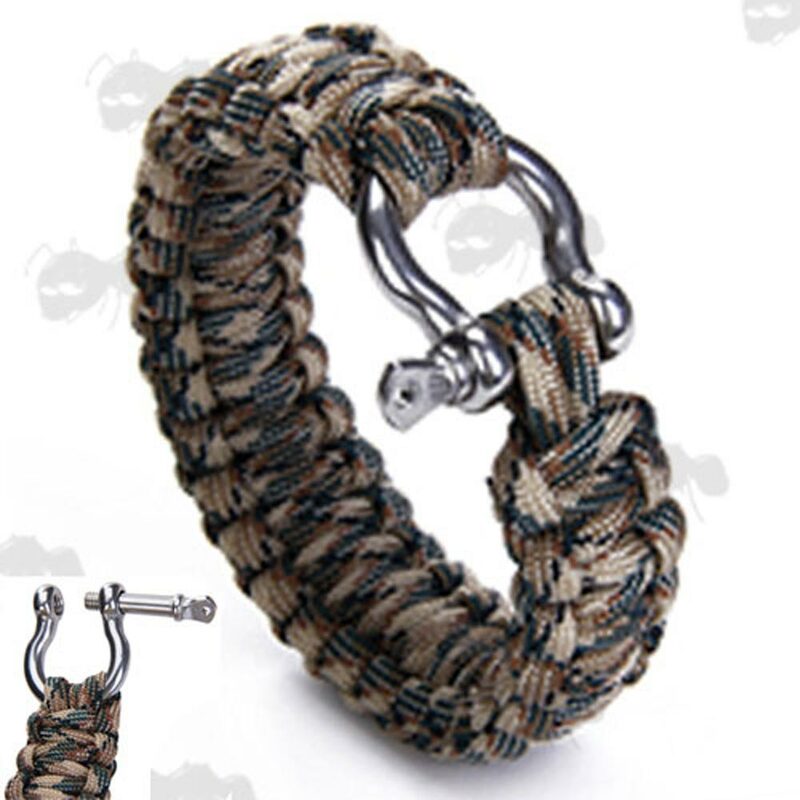 Each bracelet is complete with a stainless steel D-shaped shackle. 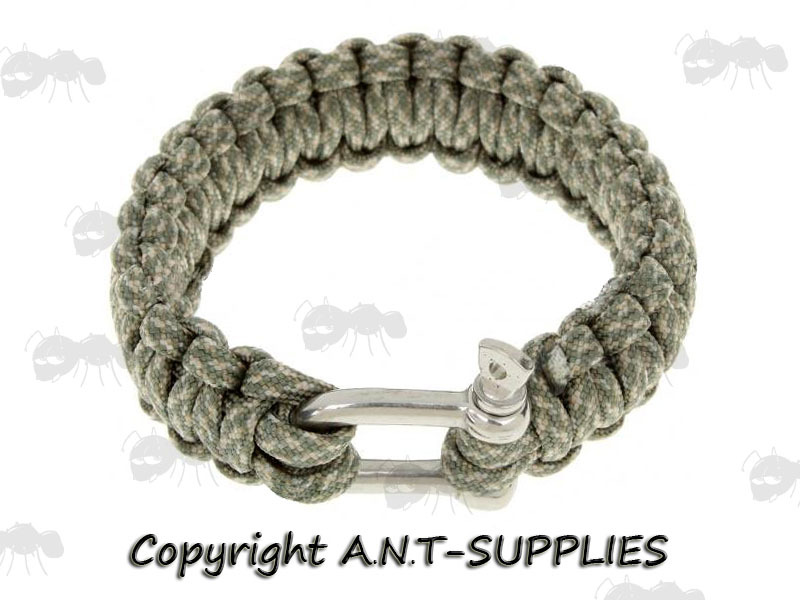 The bracelet can be unwound in survival situations to produce more than 14 feet of usable survival cord. It could be used for shelter building, splint building, spear lashing, building animal snares and many other tasks. 4mm diameter cord, the manufacturer states the strength at 200 kg. 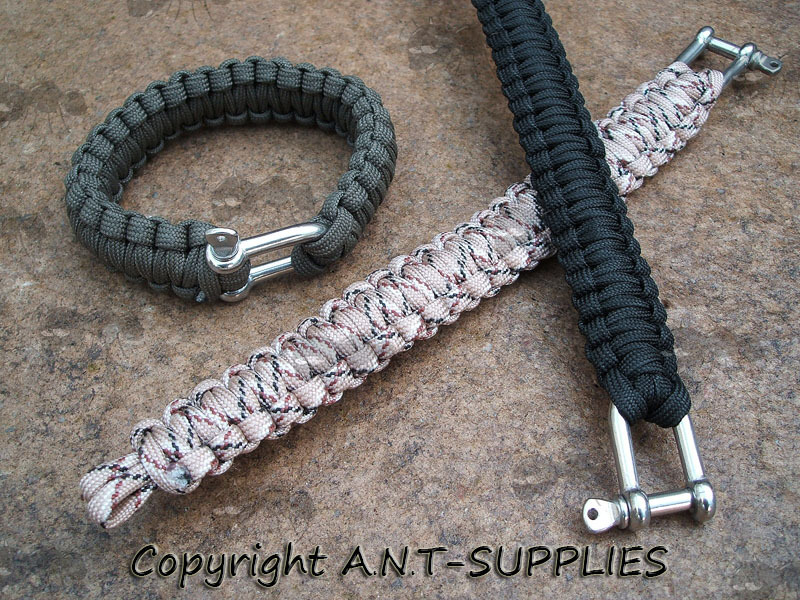 Please note; that the two tone option is made from two pieces or paracord, each approx 7 feet long. If you see this message, it means that your browser doesn't support iframes or they are disabled. 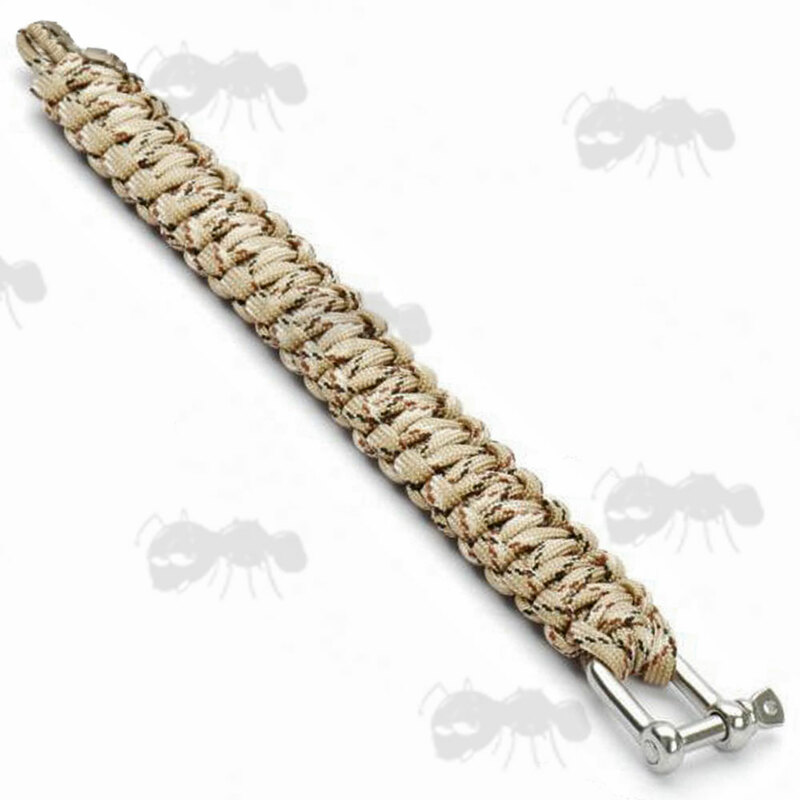 You can access the information shown in this frame here: Paracord Bracelets Product Scroller.